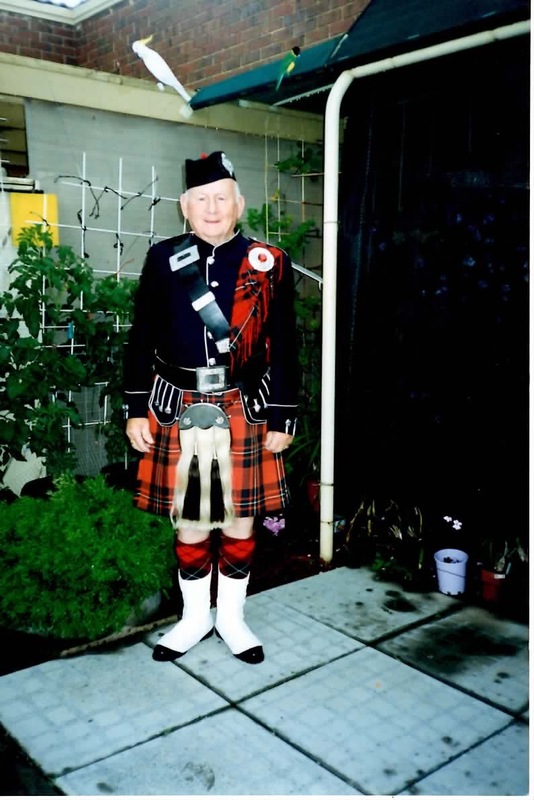 If there are any Past Players of the Pipes & Drums of The Royal Caledonian Society of South Australia that would like their photo posted here, please contact us at pdrcs@adam.com.au we would love to here from you. M.F Fleetwood (Who turned 99 years old in 2014) photo taken in 1995 after the John Martins Christmas Pageant. 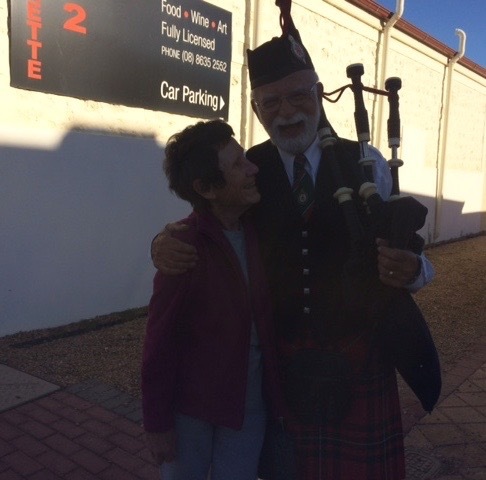 Past Player Di Norris (Tenor Drummer) with Piper Ron Holliday – taken at the Port Broughton Christmas Pageant 2017.